Spring is a beautiful experience of resurrection-happening in real time. 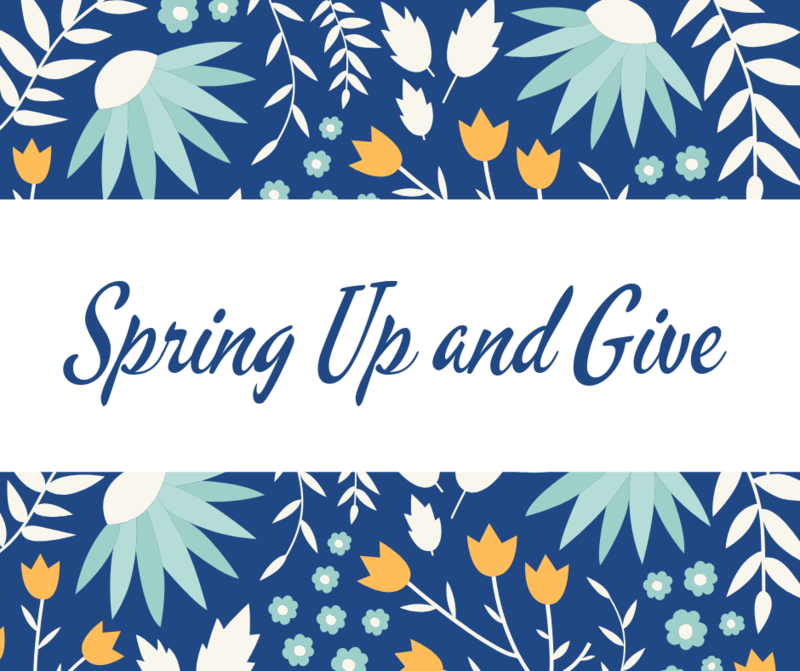 Let’s cultivate an opportunity for disciples to respond by giving above and beyond, so they might join in the way God brings the earth back to life in the spring and watch God’s kingdom bloom in amazing ways before our eyes. Make these available at a table with volunteers to receive gifts (consider providing a card reader for gifts by credit/debit card), or include in the bulletin, or hand out in worship, whatever works best in your context. People can give in honor of mom, grandma, mother of their children, or those who have been mother figures in their life! Choose which of these garden images you’d like to use (even use them all!) to encourage and recognize special one-time gifts. The raindrop can be used in tandem with a laptop station for people to sign up for regular online giving or increase their automatic gift. Post these shapes (cut out or left as a whole page) on a bulletin board, or on the wall, or running down a hallway as a visible symbol of the special spring gifts given. (Think Children’s Miracle Network paper balloons hung up at a store.) Consider printing on colored paper or providing materials to decorate the shapes. Jakelle - "Nuts and Bolts"
Shar - "Role of the Council" & "Healthy Congregations"
Bishop Terry, Mytch & Keith - "The Changing Church"
Portico has an EmployerLink for Treasurers & Benefits Administrators which includes useful information for rates, forms, calculators, and instructions for the ELCA's pensions and health plan. A printable format and worksheet for manually determining insurance costs are available with the Compensation and Benefits Guidelines found below. For the 2018 Synod Assembly, congregations were asked to share their creative ideas for the chance to win $1000! Congratulations to Augustana Lutheran of Grand Forks for their award-wining idea and thanks to all who participated. Ministry Review: A time for a synod ministry review team to work with a congregational review team in order to reflect on and assess the strengths, needs, and direction of a congregation and its ministry. The review will include a report that will affirm the God-given gifts and strengths of the congregation and provide recommendations to consider for future ministry. "I was a part of the Ministry Review of Augustana in Grand Forks. The Ministry Review Process was a very positive experience. It opened our eyes to the many needs of the community immediately around us and provided us with numerous new ways we can serve it. I'm excited by the many opportunities in front of us as we work towards calling our next pastor." What is a Mission Interpreter? A mission interpreter is a follower of Jesus Christ whom God calls and equips to draw attention to what God is doing in the world and in the church. A mission interpreter expresses gratitude, tells what is happening, and invites participation in God’s mission. What happens at a council visit? Paul Daniels serves as the head archivist for ELCA Region 3 archives at Luther Seminary. Ask the Archivist - What makes a useful church archives?